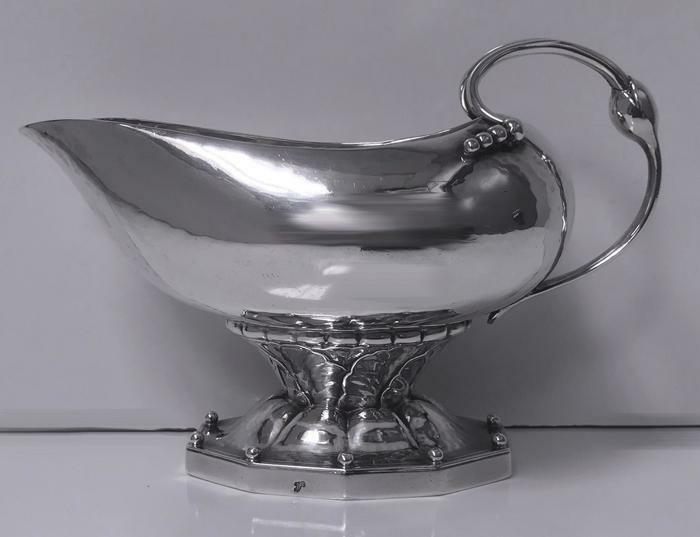 Georg Jensen Cream Sauceboat, 1915-30 mark, rare design No 181 . 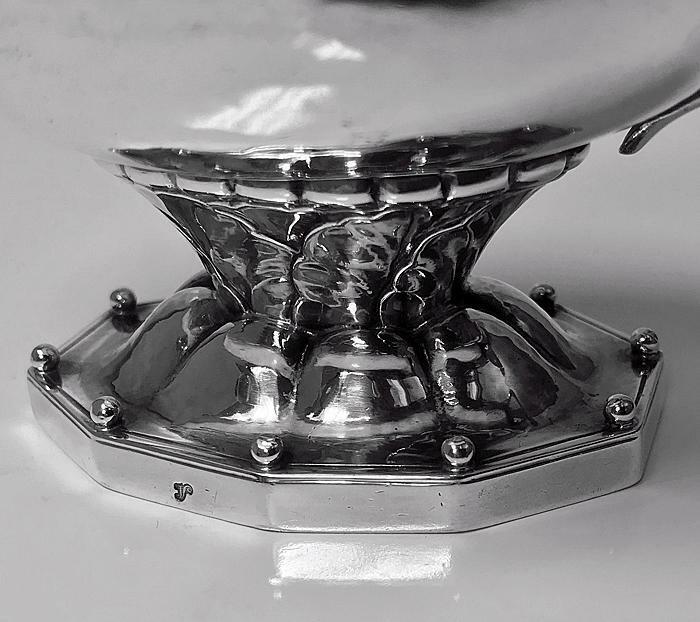 Octagonal shape base, hand wrought, hammered. 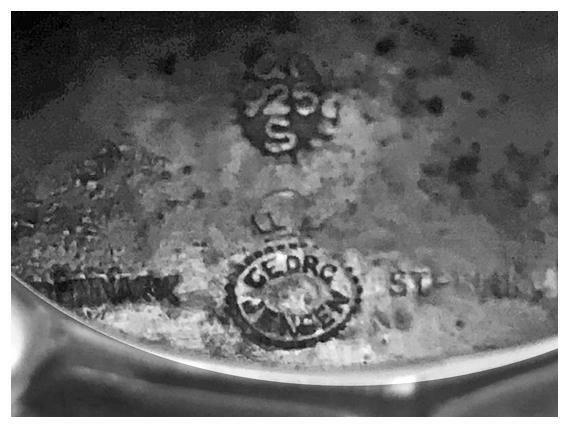 Full Georg Jensen marks to underside GI 925 over S and George Jensen Sterling 181 and Dutch tax mark early 20th century. 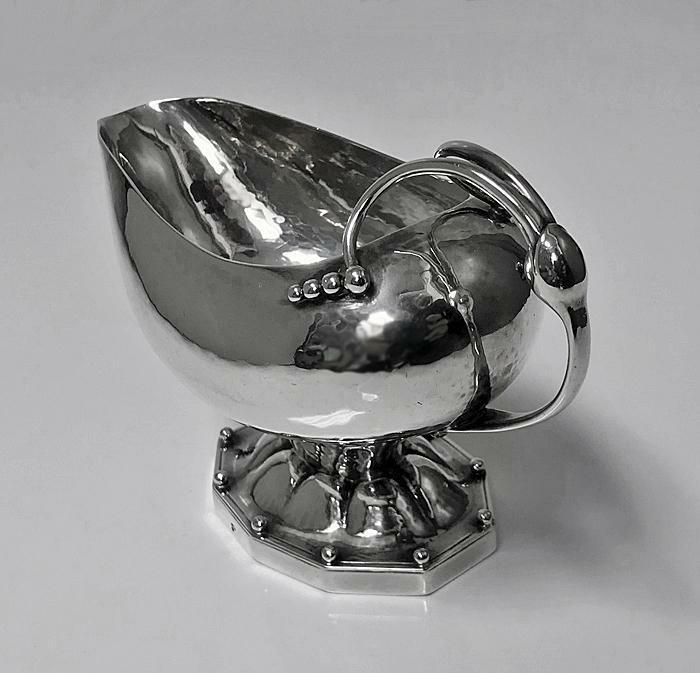 Height: 3.00 inches. Length: 4.75 inches. Depth: 2.50 inches. 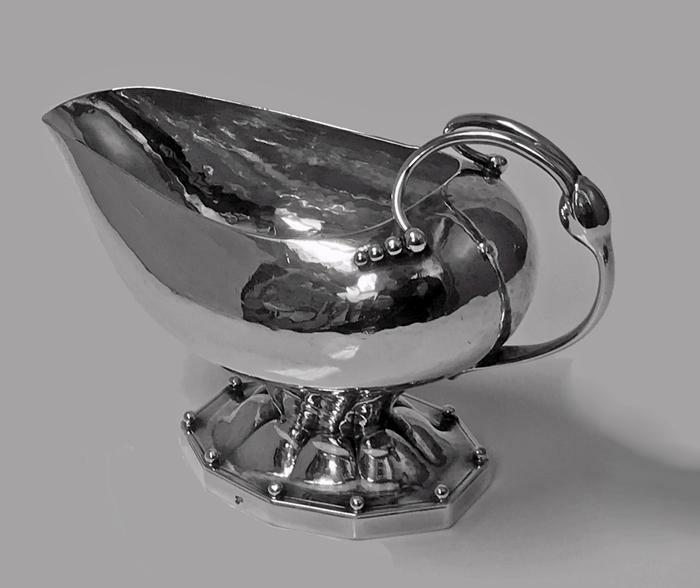 Weight: 129.12 grams. 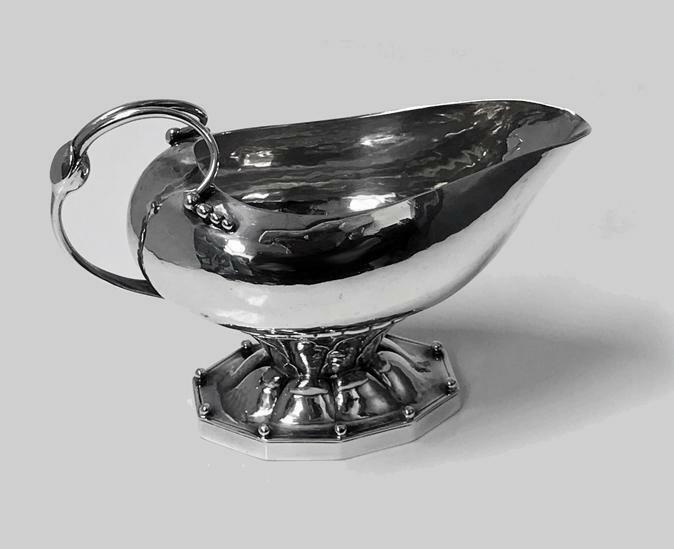 Items Similar To "Georg Jensen Cream Sauceboat, 1915-30 mark, rare design No 181"